November 5 is the 309th day of the year(310th in leap years) in the Gregorian calendar.There are 56 days remaining until the end of the year. 1499 – Publication of the Catholicon , written in 1464 by Jehan Lagadeuc in Tréguier; this is the first Breton dictionary as well as the first French dictionary. 1955 – After being destroyed in World War II, the rebuilt Vienna State Opera reopens with a performance of Beethoven's Fidelio . 1996 – Bill Clinton is reelected President of the United States. Emperor Lý Anh Tông (1136–1175) of Đại Việt, was the sixth ruler of the later Lý Dynasty, from 1138 until his death in 1175. 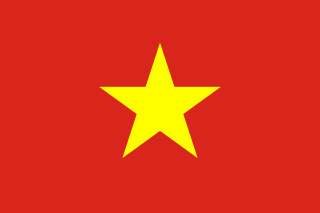 Since Lý Anh Tông, given name Lý Thiên Tộ (李天祚), was chosen as the successor of his father Lý Thần Tông at the age of only two, the early period of his reign witnessed the dominant position of Đỗ Anh Vũ in the royal court until his death in 1157, afterwards the Emperor ruled the country with the assistance of a prominent official named Tô Hiến Thành. The reign of Lý Anh Tông was considered the last relatively stable period of the Lý Dynasty before the turbulence during the reign of Lý Cao Tông. John the Baptist was a Jewish itinerant preacher in the early first century AD. Other titles for John include John the Forerunner in Eastern Christianity and "the prophet John (Yaḥyā)" in Islam. To clarify the meaning of "Baptist", he is sometimes alternatively called John the Baptizer. Saint Galation or Galaction was supposedly a martyr with his wife, Episteme, whom he converted. The story is that he was the son of Saints Clitaphon and Leucippe, and that he became a hermit, while Episteme joined a community of virgins. Both went away to the mountain of Publion, Galaction to a men's monastery and Episteme to a women's. They did not leave their monasteries, and neither saw the other until the time of their death. A fierce persecution arose, and they were both brought to trial. When Galation was martyred under Decius at Emesa on 251 AD, Episteme went to his side and died with him. His feast day is November 5. Saint Guido Maria Conforti was a Roman Catholic Italian archbishop and was the founder of the Xaverian Missionary Fathers on 3 December 1895. He was known to make frequent visits to his parishes and worked to support the religious education and religious involvement among the youth. ↑ Kipnis, Igor (2013-04-15). The Harpsichord and Clavichord: An Encyclopedia. Routledge. ISBN 9781135949785. ↑ Rose, Mike (November 5, 2018). "Today's top celebrity birthdays list for November 3, 2018". The Plain Dealer. Retrieved November 5, 2018. 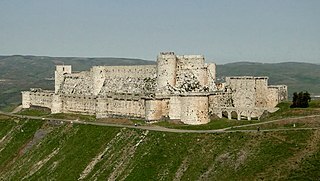 Wikimedia Commons has media related to November 5 .